Legendary US heavy metal trio The Rods have signed to Steamhammer / SPV to release their resounding seventh studio album 'Brotherhood Of Metal' on June 7th as a Digipak CD, double 180 gram red vinyl LP (with printed inner sleeves + CD in a cardboard case), download and stream. "If you like the first song, then the odds are you'll like the whole album. It's balls-to-the-wall heavy metal, song after song. No ballads and nothing your mom will be humming," promises drummer Carl Canedy. 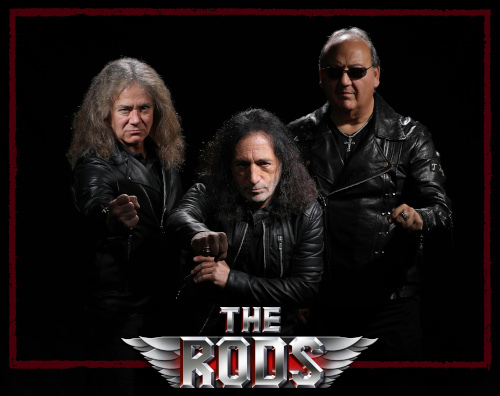 Hailing from upstate New York, The Rods were formed in Spring 1980 by guitarist / vocalist David 'Rock' Feinstein, whose first brush with success had come a decade earlier as a member of Elf with his cousin Ronnie James Dio from 1967 - 1973. "I had seen David and Ronnie for years. My band and Elf shared a rehearsal hall for a time so we would see each other periodically," recalls Canedy. "I had been a fan of his and Elf and apparently he liked my drumming, which seemed to mesh perfectly with his style of playing. After just one rehearsal The Rods' sound was born. Garry joining the band was the missing element". Six years and five albums later, The Rods decided to go separate ways in 1986 and disappeared from the scene for more than twenty years, rising again like a phoenix from the ashes in 2011 with their outstanding comeback album 'Vengeance'. Canedy; "In the early days, we wanted to play every dive that would have us. We've moved on from that, thankfully. However, we still love recording and performing as much as we ever have!" 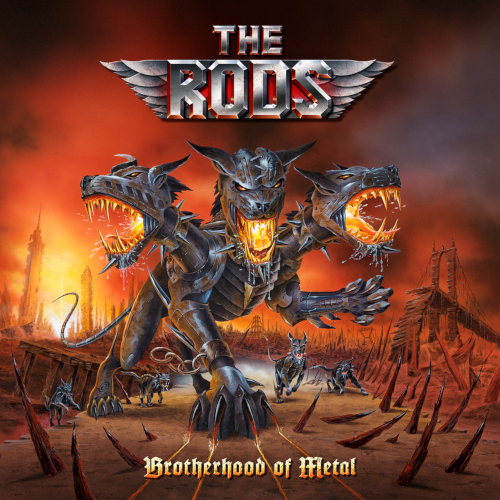 The album's title track 'Brotherhood Of Metal', is a veritable Rods anthem, (Canedy; "I'm hoping to hear the fans sing with us when we perform it live"), which totally reflects the band's attitude to life and general philosophy. "David, Garry and I are still close friends all these years later, we're a band of brothers and proud that we're heavier than ever and making great Rods music for the fans" states Canedy. 'Brotherhood Of Metal' contains eleven songs (a twelfth track will be included as a bonus track on the vinyl edition), recorded by exactly the same line-up that cut their 1982 cult release ''Wild Dogs'. "When we're together it's clear that we have a strong bond. That hasn't changed since then. What has changed is that we now have families and adult children. Other than that, it's still the same as it was. Only now our kids come to the concerts. It's still weird for me to hear my daughter start singing a Rods song out of the blue. I never imagined that would ever happen" (Canedy). Recorded at the Barn Castle and the Nire Studio and engineered by Lonnie Park, Carl Canedy and Eric Chesek, 'Brotherhood Of Man', which features spectacular cover artwork courtesy of Belgian artist Eric Philippe, brings a new breath of fresh air to the band's classic metal sound. Canedy concludes "We know who we are as a band and have stayed true to our roots musically. Of course, that being said, we've matured as songwriters and that is clearly evident on this record."